Welcome to our Open Lines program. I started the one segment 122 minute segment with some suggested topics including Barbie turning 60 and going back to space (www.space.com/astrophysicist-barbie-astronaut-doll-mattel-2019.html?utm_source=sdc-newsletter&utm_medium=email&utm_campaign=20190218-sdc) and news on the new film, Apollo 11 (see a review and trailer here: (www.theguardian.com/film/2019/feb/25/apollo-11-review-eye-opening-documentary-is-a-five-star-triumph). Besides the news events I suggested as topics, I brought up complaints by two listeners regarding guests Zimmerman and Whittington. These two listeners were angered because they claimed they were making Republican comments and I needed to keep this out of the show. They said they would quit listening and one said they would probably not donate to the show. I checked my records and there were no records or emails found with either of them for donations or having previously contacted the show. I read their emails in full on the air. I spent time answering both of these listeners, made it clear that these and other guests were not promoting this or that partisan political view, candidate or party though when reporting on space policy and activities, how someone filters events can come through. When I replied by email to both of these listeners, I asked them to post their comments on the blog to see if others agreed with them or wanted to have a discussion about their claims. They did not post anything on the blog and only one of the two replied to my note. I also read his reply on air. As you will hear me say, I believe these listeners lack tolerance and as I said in general for our country as there is far too much intolerance going on. Attacks on free speech happen all too often. For The Space Show, I am 100% committed to and want free speech. for The Space Show. There is no litmus tests for guests or callers as to their political leanings and it is a rare exception that I happen to know the political leanings of a caller, supporter, or guest. Listen to my short rant, what the listeners said in their notes and feel free to comment about it if you want by posting on the blog. I did not identify the two listeners as I did not have their consent to do that but I did read their respective emails in full. I do believe each could benefit by learning tolerance. Maybe if we listened to what others had to say, even if we don't agree with them rather than trying to shut them up or deny them a right to speak, we might learn something and all of us would benefit. One more thing. I did not read my email replies to each person on air as my discussion was taking too long. That said, what I said on air does a fairly good job of condensing down what I said. I was polite to each of them but I believed each to be wrong and noted several times in recent years when liberals have said some very partisan and punitive things regarding climate change and those that do not believe in it. I asked where they were on shouting down those partisan comments. In fact, nobody shouted down those comments, we just rolled with them and moved on. This discussion took up about 40 minutes of the program and I do apologize for that but I thought it important enough to address on air. The two listeners in question were told I was going to read their notes and talk about their complaints on this show and I invited them to participate. Neither did. Finally, I sent the emails to Bob and Mark so they would know about the complaints. Once again I stressed we do not do partisan politics on TSS but space has become partisan in more recent years and we are not perfect so I am sure partisan comments on all sides sneak into the discussion. We will continue to strive for perfection in this area but we will not cancel guests due to their political point of view nor will we cease to cover policy issues, even when elements of the discussion are partisan. I believe this is what happened with Mark on his comments about the election loss of Rep. Culbertson and potential risks to the Europa Mission. 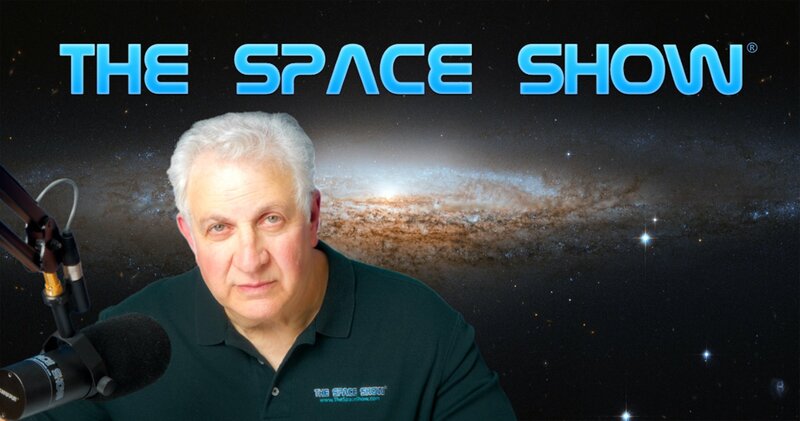 Moving on, John Hunt called the show to comment on the recent Bernie Taylor show and his theories about the Moon and lunar cycles regarding life on Earth and elsewhere. John did not agree with Bernie and thought the advent of tools was the key, not lunar cycles. Please listen to the Bernie Taylor show from this past Tuesday to know more about what John was talking about. We would like to know your thoughts on this subject. Climate change, nuclear energy and fusion also came up for discussion. Moonwards Kim called from Mexico. Please check out her animation on our blog of people walking on the lunar surface. Kim talked about the animation and answered questions about as well as walking on the lunar surface. She talked about lunar simulation walking through a harness and more. She also commented on my Zimmerman comments, especially the comments I made about having some personal fun by baiting Bob on a few political this things. Kim was right of course and I told her I heard her comments and suggestions. We will see how well I can implement her suggestions the next time Bob comes on the show. Terry from Texas called to talk about the Crew Dragon launch. He also referenced the docking news conference with Mr. Musk and NASA Administrator Bridenstine. Another topic I brought up for discussion was the recent article on Chinese space goals by Dr. Goswami in The Diplomat. If you have not seen it, here it is: https://thediplomat.com/2019/02/chinas-get-rich-space-program (China’s Get-Rich Space Program). Note that Dr. Goswami detailed China's space approach for wealth building. She contrasted that with the US space goals. Let us know your thoughts by posting on the blog. Another topic was SpaceIL and their approaching lunar landing. We also talked why it will take so long for the lander to get to the Moon. You can read about this on Space.Com in an article by Mike Wall, "Why It'll Take Israel's Lunar Lander 8 Weeks to Get to the Moon." Next, Marshall called and brought up cost differences with the SpaceX Crew Dragon and the Boeing CST 100. Any comments? Let us know on the blog. Rick Kwan called and we talked some more about SpaceIL going to the Moon. He said SpaceIL was planning on being at Space Access this year. He then agreed with me re politics that there is way too much intolerance today. He mentioned my comments about the bankruptcy of Mars One. Other comments were mentioned regarding a Parabolic Arc video re Dragon, the news conference and the Lunar Gateway site saying the gateway was the path from the Moon to Mars. Please post your comments for this show on TSS blog. You can reach any of the callers through me. Open Lines so you choose the topics. All callers welcome, first time callers too. All space, science, STEM and STEAM calls wanted.